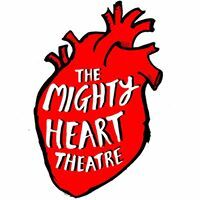 Mighty Heart Theatre set out on the streets of Manchester in search of hope. A film about our on the street story collecting by Grant Archer in Jan 2017. Sometimes life is a bit grim & all you can see is grey clouds above. In 2014 we wanted to add some unexpected positivity to our streets of mighty Preston. We hosted our very own Manchester Mighty Mixer at Royal Exchange Theatre in November 2017 to meet as many artists as possible for future collaborations. We were joined by videographers, photographers, textile artists, food artists, writers, theatre-makers, choreographers, musicians, puppet makers, comedians, writers, set designers, lighting designers, props makers, costume designers and more. We shared some new theatre-making with them and then we all sat down for our own curated Last Supper with food, wine, prosecco and chats about cross art collaborations. Film by Grant Archer. Video filmed by Zoe Alker. A behind the scenes look at the R&D (Research and Development) phase of our upcoming project ‘BINGE!’ This video takes you in to the creative process where we explore movement, taking up space and meeting with Academics to learn more about the politics of the subject.